This is a famous and sweet Cantonese Dim Sum. 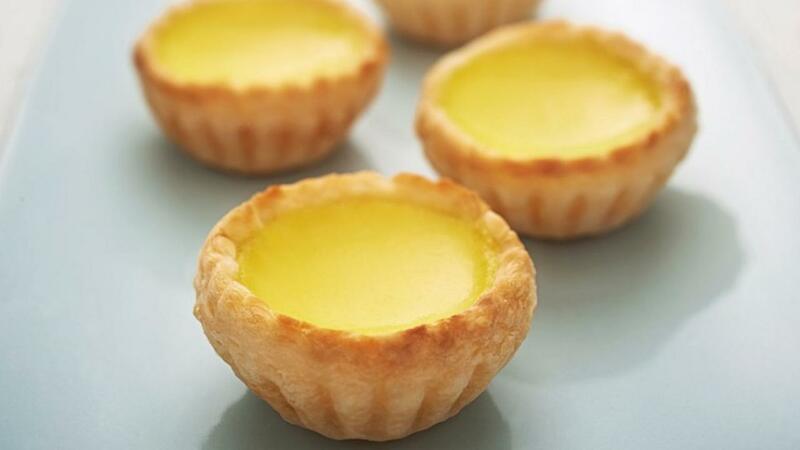 Though the traditional egg tart has taken on many different forms over the years, it remains one of our most loved desserts! Cut puff pastry into small round circles and press into a metal tart pan. Mix eggs, cream, sugar and 5 ½ tbsp (85 mL) of water in a mixing bowl. 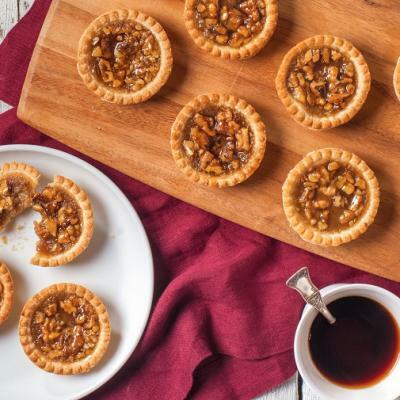 Pour mixture into tart shells, and bake for 8 minutes. 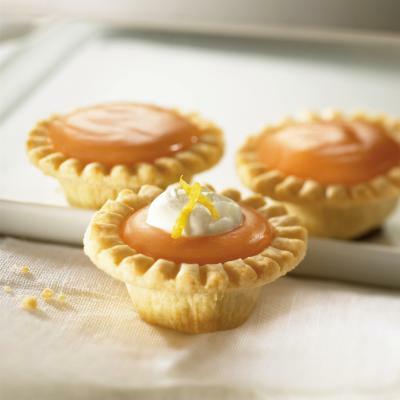 Tip: You can lightly grease the tart shells if you like.